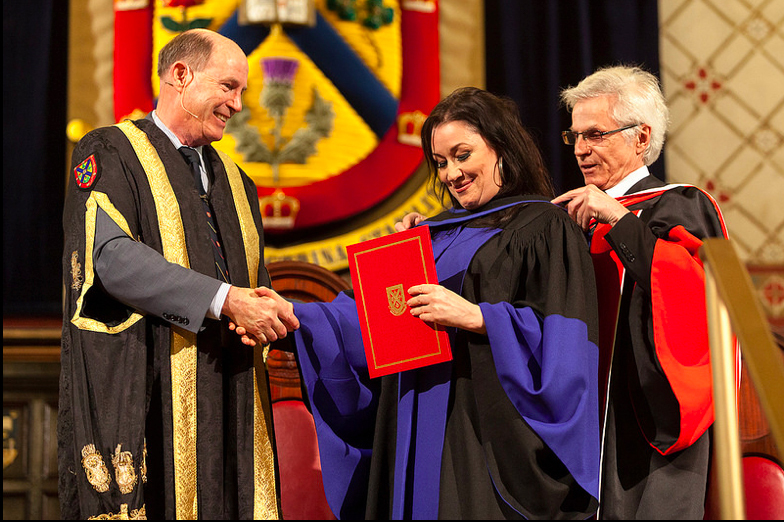 On Friday June 6, 2014 Holly Cole shared the stage with a group of Queen’s University graduates at their spring convocation ceremony in Kingston, Ont. During her speech, Holly acknowledged the importance of philanthropy, her ability as an artists to bring awareness and raise money for issues that are important on a local and international level, and the benefits of supporting and nurturing a sense of community. 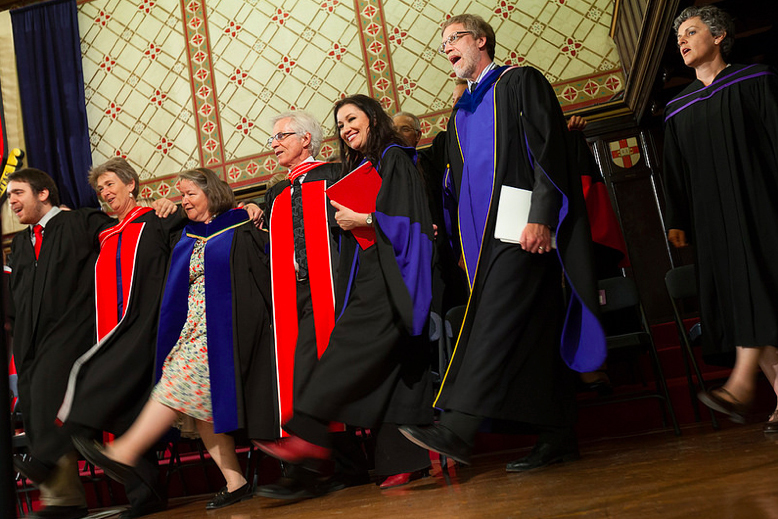 Congratulations to all the 2014 graduates, the future leaders of tomorrow. FRIDAY WAS AWESOME!!! Just Amazing. They CRAVED the music and they CRAVED my speech! To tell you the truth I was pretty proud of my speech too. I worked on it for a long time. What a day it was. I’m still reeling from it. 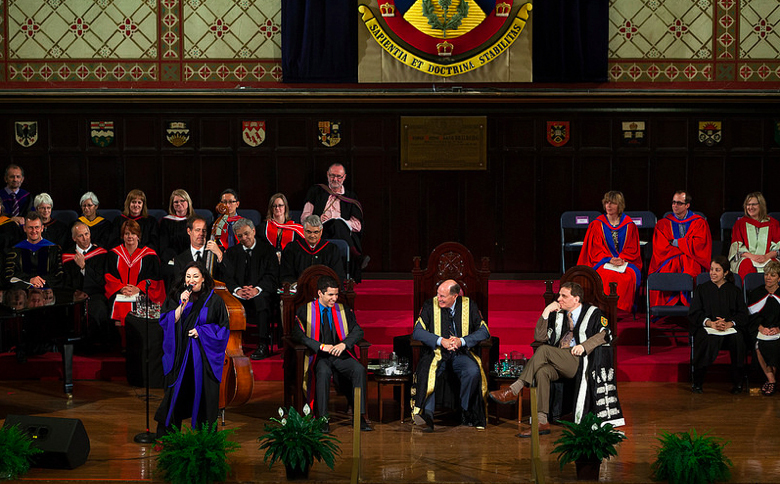 Performing in front of, and for, all the graduates at was such an honour. Thank you for letting me be a part of this special ceremony. Photo of Dr. Regina Rosen, Dr. Cole, Dr. Daniel Woolf, Principal & Asst. Chancellor (he nominated Holly; last year’s recipient was Glenn Close), Dr. David Dodge, Chancellor. 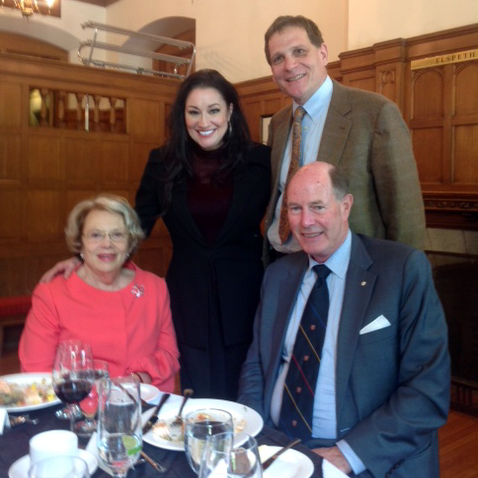 Margaret and I felt very honoured to be sitting at this table for lunch.